In a study recently published in Pediatrics, authors Zhou et al. reported that for children born in 2009, vaccinations prevented 42,000 early deaths and 20 million cases of disease. In addition, vaccinations brought us a net savings of US$13.5 billion in direct medical and non medical costs which include those costs associated with treating an initial infection as well as costs associated with complications and sequelae of diseases; direct nonmedical costs include travel costs, costs for special education of children disabled by diseases, and costs for other supplies for special needs. In addition, vaccines saved Americans over US$68.8 billion in total societal costs, which include items such as lost wages. 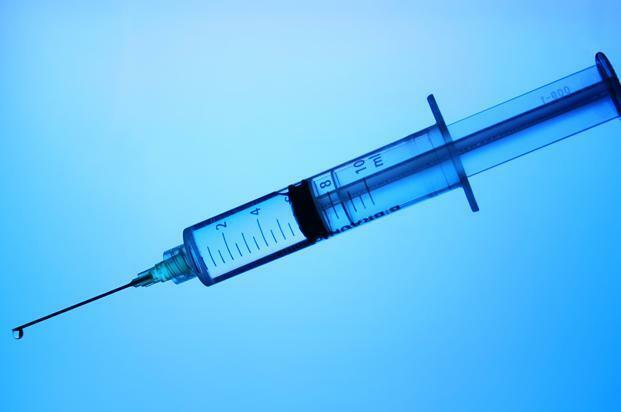 The researchers looked at the effects of vaccines for diphtheria and tetanus toxoids and acellular pertussis, Haemophilus influenzae type b conjugate, inactivated poliovirus, measles/mumps/rubella, hepatitis B, varicella, 7-valent pneumococcal conjugate, hepatitis A, and rotavirus vaccines; influenza vaccine was not included. These U.S. Centers for Disease Control and Prevention researchers looked at nine vaccines on the routine childhood immunization schedule. Implementing the schedule for babies born in 2009 resulted in a cost savings of nearly $69 billion, said Shannon Stokely, associate director for science in the immunization service division of the CDC. 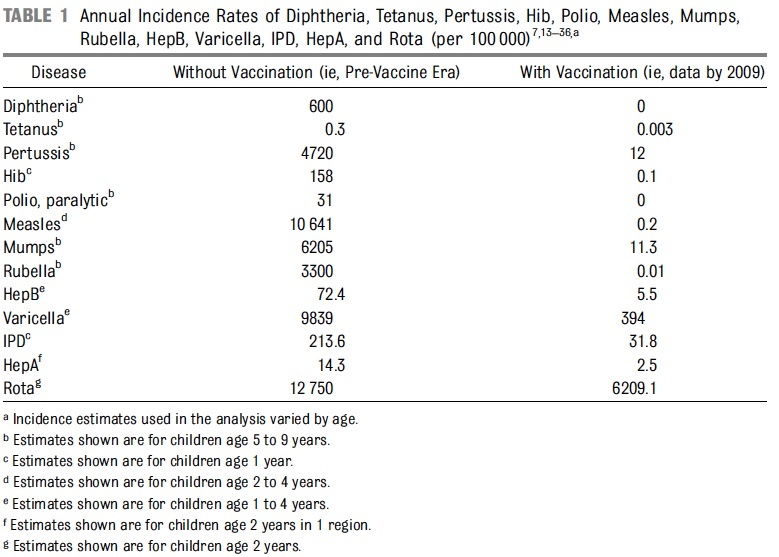 The researchers made use of historical and current data to make estimates of hospitalization and mortality rates of the diseases currently preventable by vaccines (Table 1). 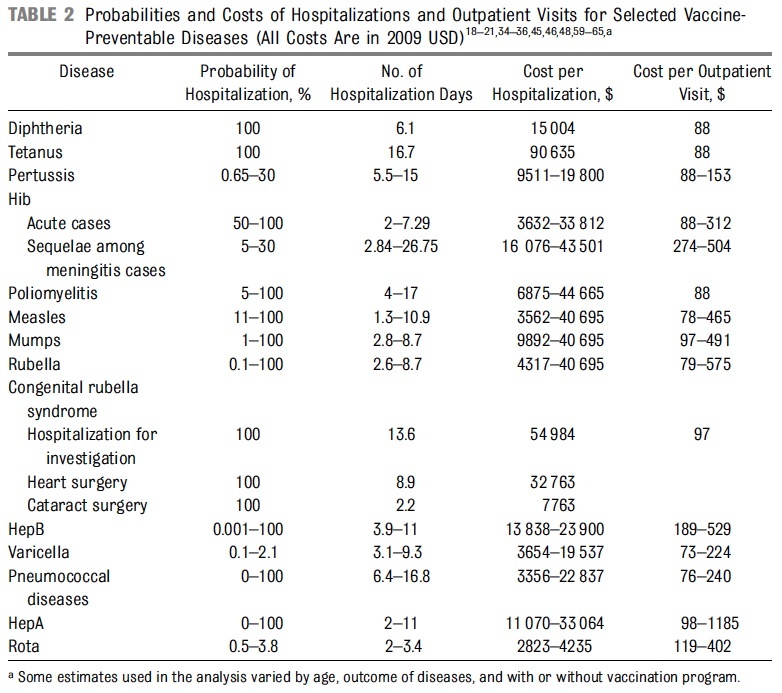 They also made an estimate of the costs of each of the vaccine-preventable diseases–they calculated the NPV of the future costs of each disease (Table 2). 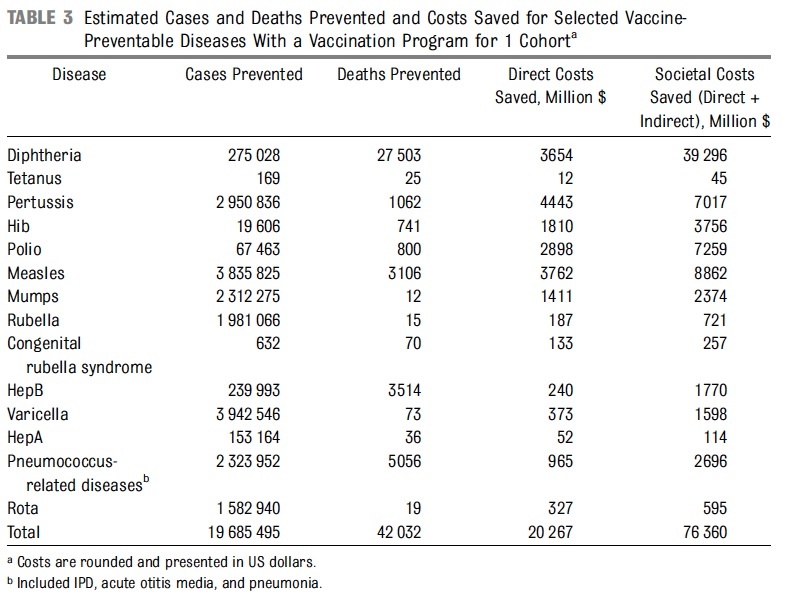 The authors established that for every dollar spent on the immunization program, $10 was saved (Table 3). And 42,000 children’s lives. 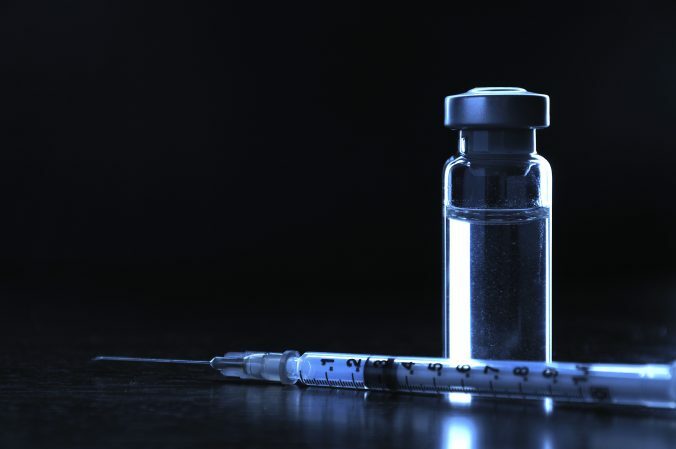 And once again, of that $13.5 billion in potential costs of vaccine preventable diseases, pharmaceutical companies would receive a substantial cut from all of the products and medications used in treating these diseases. 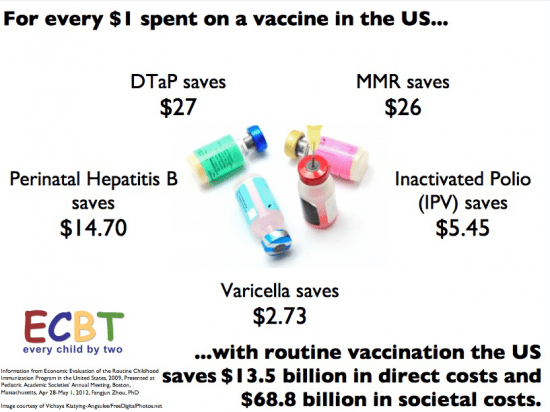 And they would make much higher profits than they would ever imagine from the low gross margin vaccines. Once again, and with even more feeling, if you look at that graphic, you’d realize that if there were some massive conspiracy to make people pay truckloads of gold bars to pharmaceutical companies, then it has to be the worst financially driven conspiracy ever invented, and they all should be fired. It would be much more profitable to end production of vaccines, and let millions of children get sick and die. Since antivaccination groups want to end vaccines, and let children get sick and die, can we then conclude that the vaccine deniers are in the pockets of Big Pharma? Sounds like I’m getting more evidence for the real conspiracy. If I actually believed in conspiracies. From both direct cost and societal perspectives, vaccinating children as recommended with these vaccines results in substantial cost savings. And they save 42,000 lives every year. Note: I wrote an article last year about a similar study that actually had slightly lower estimates lives saved by vaccines each year. The two studies used different data sets and methodologies, but they are remarkably close in actual numbers.